Neoconocephalus triops (Broad-tipped Conehead) ♀. Size: approx. 60 mm. Photo: 10/09/13, 8 pm. A huge katydid. I spotted this female on our house wall during the early evening hours. Both sexes come to lights but they only occasionally eat other insects. 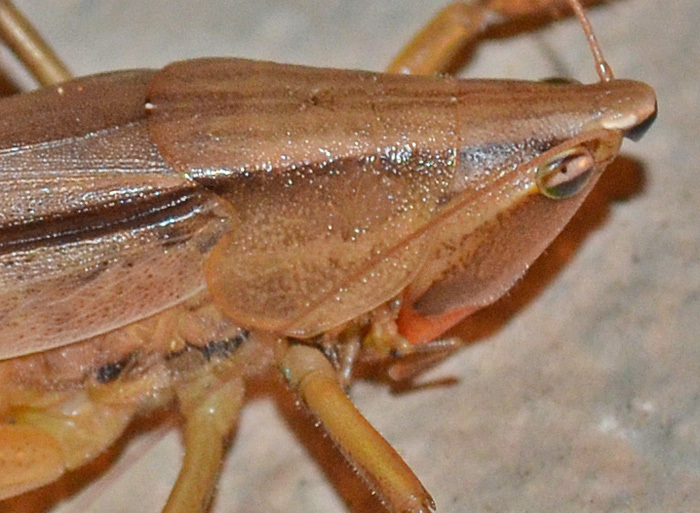 Another common name for this species is "Three-eyed Conehead Katydid". The third eye, however, is only a dark spot which I fail to resolve on my photos. 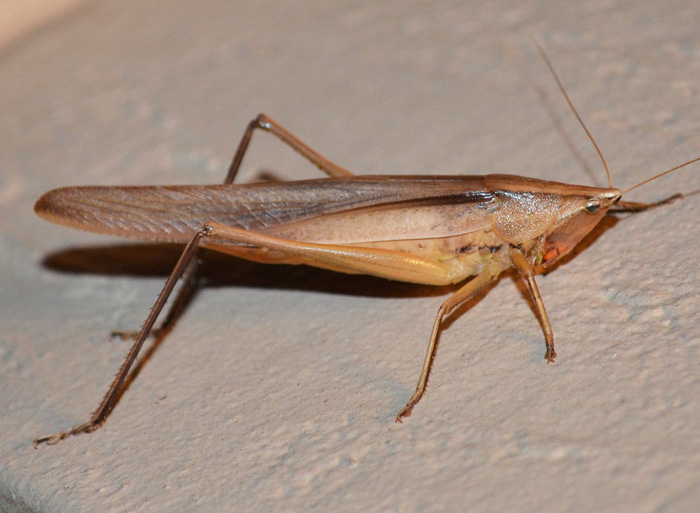 In Florida, the males of this species sing from February to May and from July to August.